I wrote a post long back in 2010 about social media, quite a long post discussing the growing popularity of social media and how it’s not a fad or hype. The post also discusses the potential of social media as a marketing tool. Since then the popularity of social platforms has grown tremendously and continues to, and the growth rate of user base has been phenomenal. Social media has always been a fascinating term for marketers, as the social platforms provide a great opportunity for them to study and understand their target audience and facilitate to connect with them. So, due to the series of developments, the recently emerged branch of marketing i.e social media marketing has gained prominence within a short period of time. This fascinating branch of marketing initiated so much of debates and discussions resulting in thousands of articles, books, ebooks, summits, seminars, videos, communities, whitepapers and what more, a whole new industry has emerged giving birth to thousands of social media companies or agencies around the world and already existing major marketing companies and even big corporate houses have created social media divisions to be a part of this so called revolution. In-spite of all these positive developments related to social media that have been taking place, there have also been end less discussions going on that show social media in the negative light. 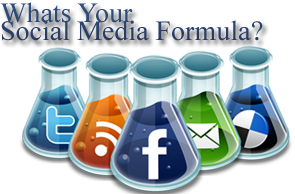 Questions like; does social media marketing work? Is social media a fad? What’s the ROI of social media? Is it worth investing in Social Media Marketing? Etc still keep arising in online discussions. But the undeniable fact is that social media marketing works amazingly for those who know how to do it and always shows the bad side to those who go the wrong way. It’s true that many people doing social media do not think beyond likes and follower count, and often engage in too much of self-promotion. Have you seen people crazily working on to increase follower count and likes and fanatically promoting their product or service continuously everywhere on social platforms?, they join groups and pages just to promote their product or service, finally end up getting little or no result. These people even get banned or reported at times. Are you doing or planning out something like this assuming that this how a social media campaign should be? You’re going the wrong way and heading to a no man’s land. The whole concept of social media marketing revolves around two things; networking and engagement, though there are a lot more that you can do on social media, these two things are the primary factors that decide the success of your social media campaign. Your social media campaign may have multiple objectives say, online visibility, brand awareness, relationships, and traffic and yes of course, sales. Sales should be the ultimate objective of any marketing campaign, after all, if there is no conversion, what’s the point in taking all the efforts? This is where the actual challenge lies for social media marketers and the root cause of all kinds of misconceptions clients usually have. Social media is a different ball game, here sales can’t be the only objective, if you think all you need thorough social media is sales then your ROI can never be justified. Its not that social media campaign can’t deliver in terms of sales, there are companies that generate tremendous sales continuously through social platforms but what works for one may not work for the other. Remember social media is a long-term investment, if done properly it can bring perpetual revenue. Due to the misunderstanding of the concept as a whole, and in a desperation to drive sales, many people get into the social world and start social spamming, in other words too much of promotion. Being pushy on social platforms leads to failure or can bring adverse results. This post answers the crucial question how social media marketing works with an example (Note: Direct sales is possible with social media, for that, you need to either have great brand value or should already have built a loyal customer base who avail/buy your product or service regularly, otherwise direct promotion or sales pitch is a big NO when it comes to social media marketing). Case 1; an insurance agent arrives at the venue ( of course he was invited ), he gets into a group of people already discussing a topic and starts talking about insurance and the packages his company offers, followed by brochure distribution and finally tries to get contact details from even strangers. Just imagine what an awkward situation would that be, he repeats the same thing approaching every group in the party. How many leads would this guy manage to get? Will he eventually get any loyal customers, references, invitations or friends? What he may face in the long-term is social alienation. As a marketer you should know that at a social gathering you can’t make sales pitches but can build relationships, make friends who may become your loyal customers. Same in case of social media; people do not usually come to social platforms to buy products or services but to connect with friends, relatives and colleagues and have good conversation with them. So, as a marketer or a brand you are not supposed to be pushy and bombard them all the time with promotional offers but to connect and have good conversation with them. Share some useful, meaningful and interesting posts so that you get noticed. Build relationships, gradually they’ll come to know about your product/service and chances are high that they may become your loyal customers, because we prefer to buy product/service from people/company known or familiar to us (Note: There is no denying that you can post promotional posts on your profile/page regularly, but then the ratio should be minimal so that people connect to you do not get annoyed by your pushy approach). Now let’s discuss case 2, the same insurance agent arrives at the venue and starts mingling with people, shakes hands with a bright smile, hugs people showing genuine care and love and starts participating in discussions, speaks only about the topic that’s being discussed. Suddenly someone asks “What do you do?”, as he gives a brief introduction about himself, the topic changes, people now discuss about finance then slowly about insurance, he takes the lead now as he has got good knowledge about insurance. He simply starts sharing his knowledge, people respond with questions related to insurance and he answers them well. People are amazed by his talk, knowledge and problem solving ability and start seeing him as a solution provider rather than a sales man. What happened next? He won a number of friends. Some people gave their contact details and voluntarily asked for his business card; moreover he got a couple of invitations for lunch and dinner, all because he didn’t behave like a sales man but a solution provider, a problem solver. Well, this is how social media marketing works; expand your network, build relationships, have meaningful conversation, entertain and enrich your target audience, be a problem solver, find an interesting way to promote your product or service every time, don’t be annoying but interesting, build a loyal customer base and encourage them to speak about you, rest assured success is on the way.